This file image released by Warner Bros. Entertainment shows Gal Gadot charging through No Man's Land during a WWI battle scene from "Wonder Woman." After two consecutive record-breaking years at the domestic box office, 2017 was the year the momentum slowed — even with the late adrenaline boost of a new "Star Wars" film. When all is said and done on Jan. 1, the domestic box office is estimated to net out with $11.1 billion in grosses, down around 2.6 percent from 2016's $11.4 billion, according to projections from box office tracker comScore. Looked at another way, it's also likely to be the third highest grossing year in cinema history. Experts and insiders are somewhat divided on what this might mean for the current state and future of movie going and whether it is reason for alarm or just part of the natural ebb and flow of business. But one thing remains clear to all parties: Quality rules. If the movies are good, audiences will turn out. If they're not, they won't. "2017 was the tale of two cities. The year started really big. January to April were smash successes and September, November and December are huge successes, but the middle of the year ... markedly underperformed. It's really opened up an intriguing argument between people who think the movie business is challenged and people who think the movie business just needs for Hollywood to make appealing movies," said Adam Aron, the CEO of AMC, the largest movie theater chain in the U.S.
"We think the record of 2017 demonstrates that when Hollywood makes good movies, America goes to see those movies." The year saw tremendous highs with three biggest grossing films "Beauty and the Beast" ($504 million), "Star Wars: The Last Jedi" ($424 million) and "Wonder Woman "($412.5 million), notably all female-led, and the remarkable successes of a handful of non-sequels including "It" ($327.5 million), "Dunkirk" ($188 million), "Get Out" ($175.5 million), "Wonder" ($117.4 million) and "Girls Trip" ($115.1 million). Some superhero films even found renewed energy, either thanks a new director and vibe ("Thor: Ragnarok," $309.4 million), as part of a farewell tour ("Logan," $226.3 million) or a successful reboot with a new star ("Spider-Man: Homecoming," $334.4 million). And all were certified fresh by the film criticism website Rotten Tomatoes. It was also a year peppered with failed starts and serious lows for everything from R-rated comedies, like "Baywatch," to formulaic actioners and burgeoning cinematic universes. Franchises die on the vine every year, but 2017 was particularly brutal for some spectacularly expensive efforts like "Valerian and the City of a Thousand Planets," ''King Arthur: Legend of the Sword" and "Blade Runner 2049." There are the ones that buckled under negative reviews like "The Dark Tower," and then the much-hyped Dark Universe kick-off "The Mummy" failed to make a notable impact stateside. Aside from "Blade Runner," all were rated "rotten." The summer as a whole was the lowest grossing in over 10 years, and August was the worst in two decades. And not all long-running franchises continue to be the cash cows they once were. Disney's "Pirates of the Caribbean" had a franchise worst domestically with "Dead Men Tell No Tales" ($172.6 million) — although worldwide was a more positive story. The same was true for another fifth installment, Paramount's "Transformers: The Last Knight" ($130.2 million). For the second year in a row, the Walt Disney Company is at the top of the ladder with over $2.2 billion in domestic revenue making up over 21.2 percent of the market share from releases like "The Last Jedi," ''Beauty and the Beast" and "Guardians of the Galaxy Vol. 2" ($389.8 million). "This is a year where we've seen our big brands deliver high-quality ... successes," said Dave Hollis, Disney's president of worldwide distribution. "The deliberate approach that we've taken with these brands and the magnitude of the size of the films we're putting into the marketplace is paying off." 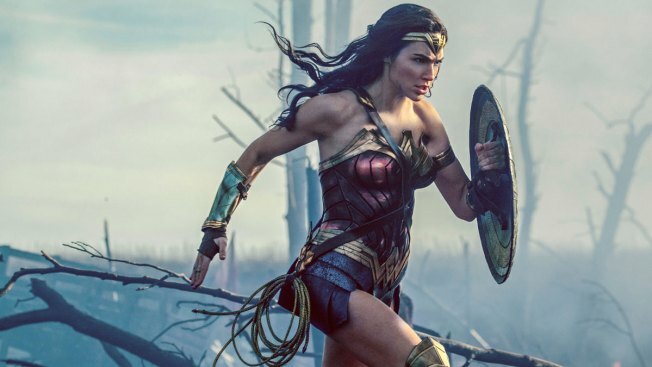 Warner Bros. followed in second with 18.9 percent of the market share, and over $2 billion thanks to films like "Wonder Woman," ''It," ''Dunkirk" and even "Justice League," which underperformed domestically with $223.2 million. The studio also had its best worldwide year ever with around $5 billion in grosses. Universal took third with around $1.5 billion compliments of "Despicable Me 3" ($264.6 million), "The Fate of the Furious" ($225.8 million) and "Get Out." "We had the most profitable year in the history of the studio which is something to be proud of," said Jim Orr, Universal's distribution head. "We did it with a very diverse slate. We did all of that without a bunch of caped crusaders, without a bunch of superheroes." Quality content on streaming platforms like Netflix and Amazon and premium cable options like HBO continue to be formidable draws for consumer attention too. "As an industry we have some really big challenges ahead of us, which involves vying for the consumer's time," said Jeff Goldstein, Warner Bros.' president of domestic distribution. "It's more competitive today than it ever has been before." Jeff Bock, a senior box office analyst for Exhibitor Relations, says movies can't compete. "2017 will ultimately be remembered as the changing of the guard where people realized, you know what, movies aren't getting better, but TV is," said Bock, who notes that for about the same price as a movie ticket, a consumer can get access to all the content on a streaming service and its proprietary content (like Netflix's "Stranger Things" or "The Crown"). AMC's Aron, a self-proclaimed fan of "The Crown," thinks there is room for both, however, and is continuing to invest in upgraded theatrical experiences for audiences — from better seats to premium food and drink options. "The movie business in the United States is going to sell a billion tickets this year. That's 55 times the attendance of all 32 teams in the National Football League put together," Aron said. "Last I checked, Netflix and Amazon were in business last year, and last year was the biggest in the history of film." While studios and exhibitors are bullish on the promise of the 2018 slate, which includes "Black Panther," ''Ocean's 8," ''Avengers: Infinity War," ''Solo: A Star Wars Story," and sequels for "Jurassic World," ''Deadpool," ''Mamma Mia!" and "The Incredibles," analysts are more cautious. "Streaming is not going to kill the movies," said Paul Dergarabedian, comScore's senior media analyst. "It's just a wake-up call for an industry that really has not changed the way movies have been marketed. The usual formulas for success don't seem to work anymore." For Bock, it comes back to quality. "The product has to be superior, it has to be better than what's on TV and right now it isn't. That's the bottom line," Bock said. "What the studios do now, the things that they greenlight right now, are going to be what changes it, not what's already on the calendar. This rough ride is just the beginning. It's going to be bumpy for the next couple of years." AP Film Writer Jake Coyle contributed from New York.